Getting There: There are no direct transatlantic flights to Wales, but it is relatively easy and inexpensive to fly to London and travel overland. Many airlines from the U.S. and Canada fly to London, including American Airlines, Air Canada, British Airways, Canadian Airlines, Continental Airlines, Delta Airlines, Northwest Airlines, TWA, United Airlines and Virgin Atlantic Airways. Web site links and phone numbers can be found in this sites Airlines page. Two main train lines provide frequent, fast service to Wales from London: the south Wales line from London Paddington to Newport, Cardiff and Swansea, and the north coast line to Bangor and Holyhead. The National Express offers bus service from London to major Welsh cities, often at a far cheaper cost. Car rentals are also available at the major airports. Web site links and phone numbers can be found on this sites Autos page. Staying There: The best up-to-date directory of accommodations is the Offa's Dyke Association's annual Where to Stay guide (West Street, Knighton, Powys, LD7 1EW, enclose a stamped, self-addressed envelope). It lists many farms, along with hotels, guesthouses and bed-and-breakfast inns. On much of the trail, accommodations are limited to major towns and tourist centers. Contact the Wales Tourist Board, Brunel House, Fitzalan Road, Cardiff, CF1 2UY, Wales, Great Britain, and the Heart of England Tourist Board, Woodside, Larkhill Road, Worcester, WR5 2EF for additional information. The book I primarily used for the trek is National Trail Guide: Offa's Dyke Path South (and North), by Ernie and Kathy Kay and Mark Richards.Other recommended guides include: Wales: The Rough Guide; Offa's Dyke Path by Frank Noble; Through Welsh Border Country Following Offa's Dyke Path by Mark Richards; and A Guide to Offa's Dyke Path by Christopher Wright. These books are not readily available in most bookstores, so you may need to search a library. 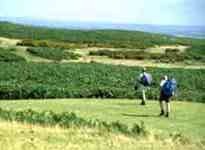 A recommended guide book to the various Wales sites is Michelin Green Guide: Wales. For a general book for other locations in Great Britain, Fodor's Great Britain is a good resource (London, general Wales, etc.). Both books are available via the Travel Bookstore. Guided walks of sections of the trail are offered by various businesses, including English Wanderer, 6 George St., Ferryhill, County Durham, DL17 ODT, England, telephone 01144-1740-653169, fax 01144-1740-657996, e-mail: EnglishWanderer@btinternet.com.